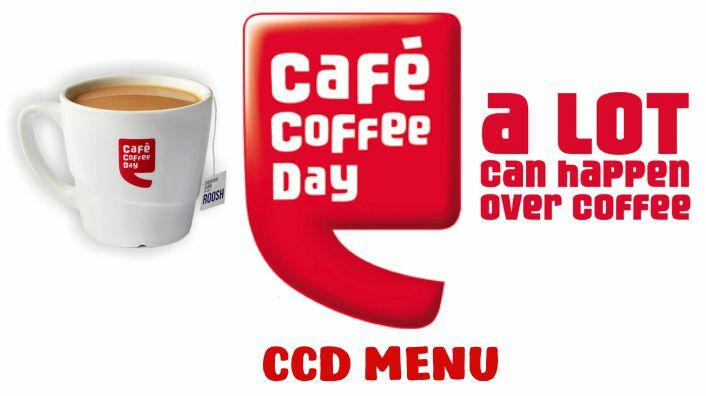 Find the CCD Menu with Prices, Cafe Coffee Day Menu with Price. Hot Coffee Menu as well Cold Coffee Menu. Complete CCD Menu Cards. 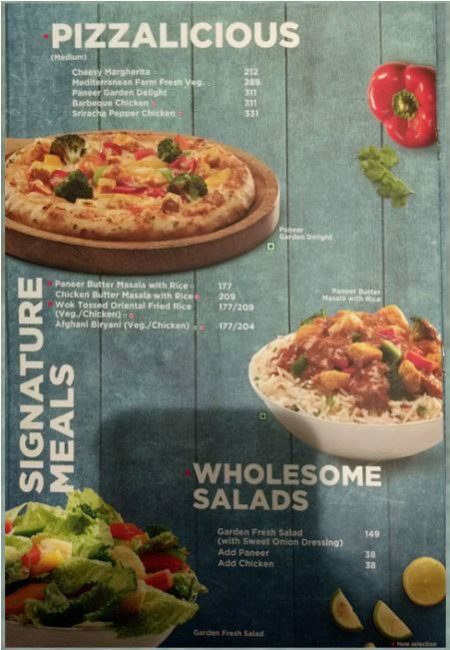 Menus are different for Pune, Delhi, Mumbai etc. 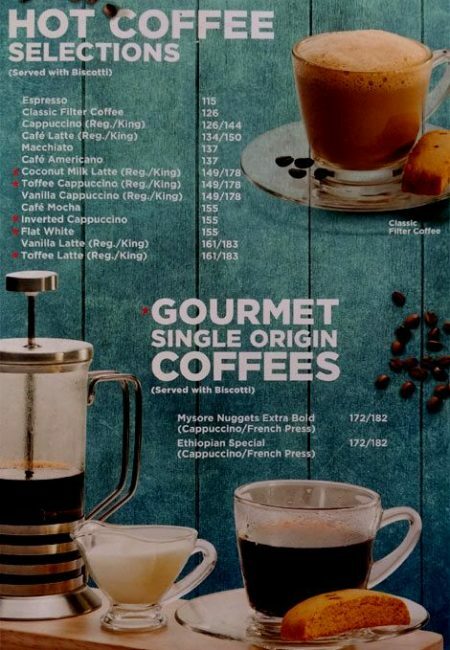 The Prices are different in different Cafe Coffee Day Restaurants. But there is not a very wide difference in prices in different cities and states in India. There are two cards for CCD Coffee Menu. 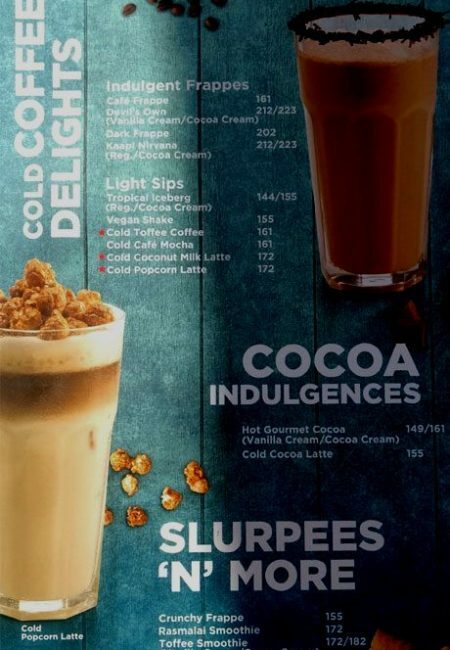 There is Hot Coffee Menu as well Cold Coffee Menu with Price. Check out the Detailed CCD Menus here. Cafe Coffee Day (CCD) is a range of Indian restaurants. It is 100% Indian Organisation. It belongs to ‘Coffee Day Global Limited’. At present they have their presence in 6 Countries. Austria, Czech Republic, Malaysia, Nepal, Egypt, and India. The Indian Owner of CCD has his own land more than 12000 acres where he grows Coffee. He had his first restaurant in 1996 in Bengaluru. They are the largest producer of ‘Arabica Beans’ in Asia. In India, they have more than 1600 outlets in different states. Menu cards are different for Hyderabad, Bangalore, Delhi, Kolkata, Pune, Mumbai, Chennai, Marathahalli and other cities. Even they vary within the city. They serve Coffee and other fast food items at their restaurants. CCD is the most wanted hangout for youngsters and grown-up young boys and girls. This is a place for meetings and conversations. In the menu below you will find that there are seven CCD Menu Cards. 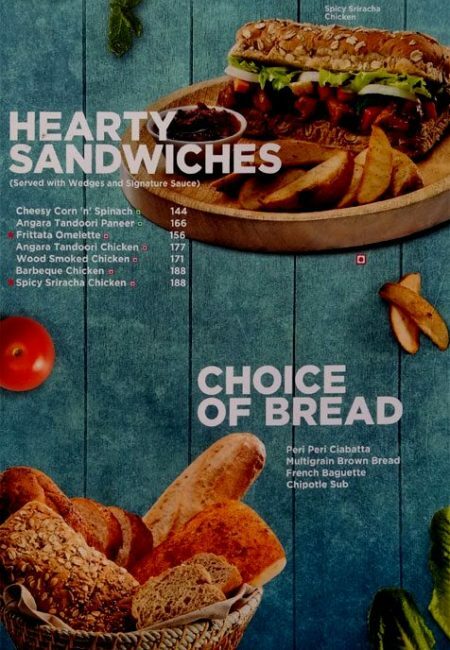 If you are living in Pune you can check out CCD Menu with Price Pune in this blog. At Swiggy, there are no delivery charges for Cafe Coffe day Restaurants. You can get further Discounts at CashFry with Swiggy Coupons. 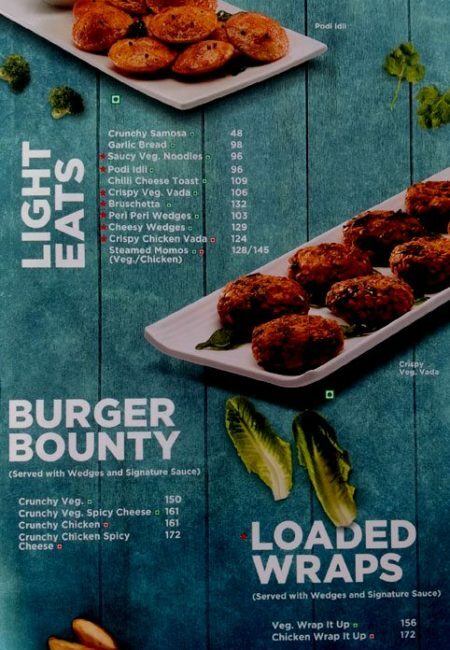 The above Menus have been found at Infospace, 21 Sector Gurugram and Sector 14 Gurgaon, Cafe Coffe Day Restaurants. If you are in Connaught Place Delhi you can check out: CCD menu at Connaught Place, New Delhi in this blog. 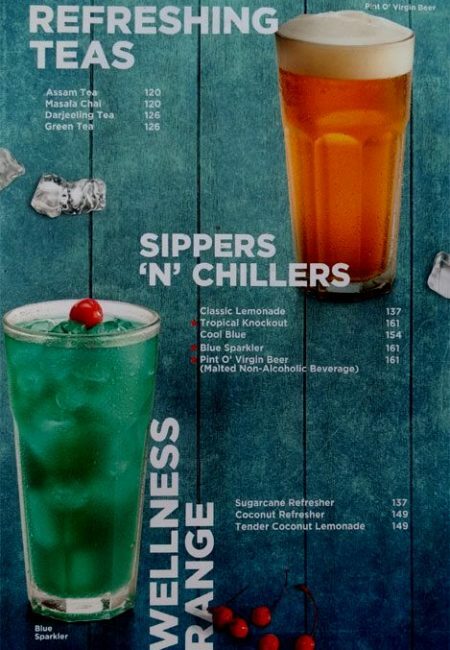 Must Try Tropical Iceberg, and Crunchy Frappe at CCD. 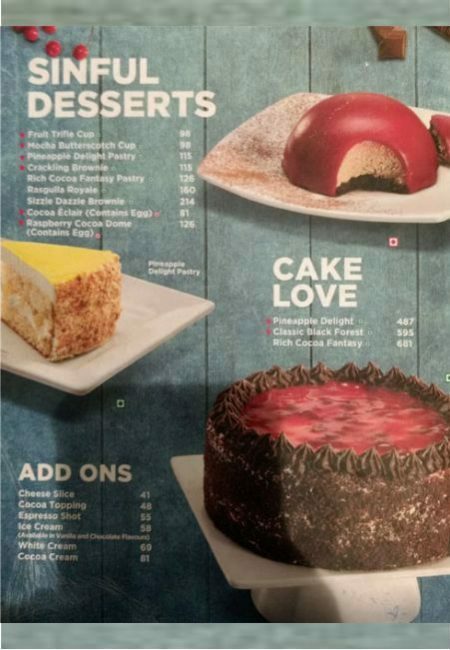 Above is the Latest Menu. It is subject to change. Therefore, it may vary. You can place an order online by using Swiggy Coupons for Existing Users Today also.